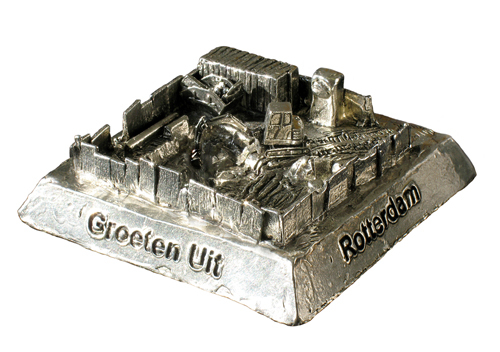 The original alternative souvenir from Rotterdam! Great Collector's item! Unique Christmas gift! Cast in an unlimited edition, numbered, signed, in labeled box. available in stores for 45 euros. Or can be ordered directly from me through the contact page.